Rates inevitably will rise again. For now, a drop in the costs to finance the three major loans may offer budget-conscious millennials more options in a volatile housing market. Mortgage rates continued their month-long slide, according to data released Thursday, giving new – but temporary – hope to millennial buyers struggling to piece together a down payment amid soaring home prices and lackluster wage growth. According to the Freddie Mac survey of lenders, the 30-year fixed-rate average decreased to 4.52 percent with an average 0.5 point. (Points are fees paid to a lender equal to 1 percent of the loan amount.) It was 4.55 percent a week ago and 3.96 percent a year ago. The 15-year fixed-rate average dropped to 3.99 percent with an average 0.4 point. It was 4.04 percent last week and 3.22 percent a year ago. The five-year adjustable rate average reached 3.74 percent with an average 0.3 point, down from 3.87 percent a week ago. It was 3.21 percent a year ago. “The run-up in mortgage rates earlier this year represented not just a rise in risk-free borrowing costs, but for investors, the mortgage spread also rose back to more normal levels by about 20 basis points. What that means for buyers is good news. Mortgage rates may have a little more room to decline over the very short term,” Sam Khater, Freddie Mac’s chief economist, said in a statement. 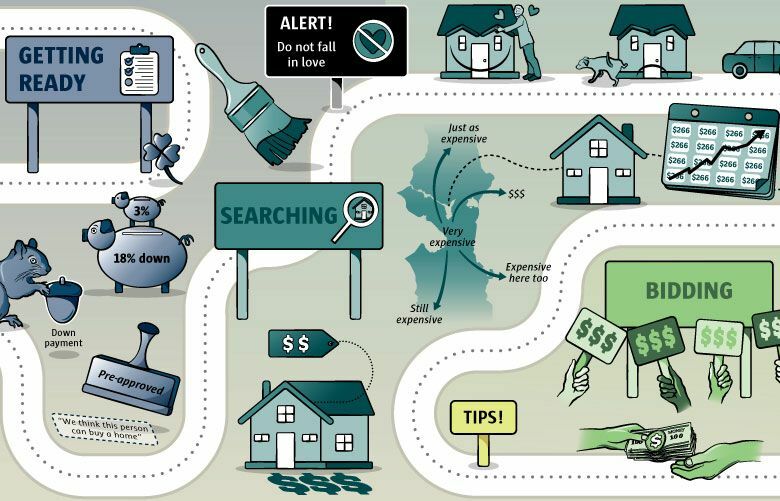 Why are Seattle-area home prices so high? Lawrence Yun, chief economist at the National Association of Realtors, said in an interview that first-time buyers are paying close attention to the rate declines. Meanwhile, mortgage applications declined 0.5 percent from a week earlier, according to the Mortgage Bankers Association. The market composite index – a measure of total loan application volume – dropped 0.5 percent. The refinance index fell 2 percent, while the purchase index was unchanged. The refinance share of mortgage activity accounted for 37.2 percent of all applications. “A shortage of inventory remains a significant constraint, but it is interesting to note that applications for government purchase loans fared better on the week, indicating that first-time buyers remain in the market,” MBA chief economist Mike Fratantoni said in a statement.